Scarcity is a marketing technique which is based on the principle of Fear of Missing Out (FOMO). Simply speaking, it is telling your users that the offer you are presenting is limited and they may not have the same opportunity in the future. Scarcity marketing techniques can be broadly classified into two categories: limited time (deadline based) and limited number. These are just a few examples and you can find 100s of them on a daily basis. So, why does ﻿scarcity ﻿﻿﻿﻿marketing ﻿﻿﻿﻿﻿work﻿﻿? Scarcity marketing techniques capitalise on the human psychology - things which are scarce or exclusive are desired/valued much more compared to things which aren't. Scarcity marketing is all about ﻿sending ﻿a message across that ﻿the﻿ item in question is scarce and if ﻿you ﻿desire it, you have to act now!﻿ If the message is sent across in the right way, scarcity works and it can boost sales conversions significantly. The same applies to online courses and digital products as well. However the exact strategy depends on the nature of your product, funnel type, your audience, pricing etc. Closing the doors is one of the most popular scarcity marketing techniques and is used by a lot of online marketers for their signature courses. In this case, enrolment for a course starts on a particular date and then the gates are closed after a certain number of days. If someone fails to enroll in the course during this period, he will have to wait until the next launch. Generally there is or rather should be a gap of at least a month between two course launches. I recommend using this approach for signature products which have a hefty price tag attached to them. Courses selling in excess of $500 should consider implementing this sort of an approach in their funnel. However, with this approach you need to be careful about the gap between different launches and you shouldn't launch, say twice every month otherwise it will appear as more of a marketing tactic than anything else. As far as execution of this technique is concerned, it's very straightforward. If you use a solution like ClickFunnels or Leadpages for your landing pages, you can easily add a countdown timer that will redirect your sales page to an opt-in page when the deadline expires. If your landing page builder doesn't let you redirect your sales page automatically, you can manually remove the 'Buy Now' buttons from your sales page and instead add an opt-in form. Another popular scarcity marketing strategy is to limit the number of spots in the course. 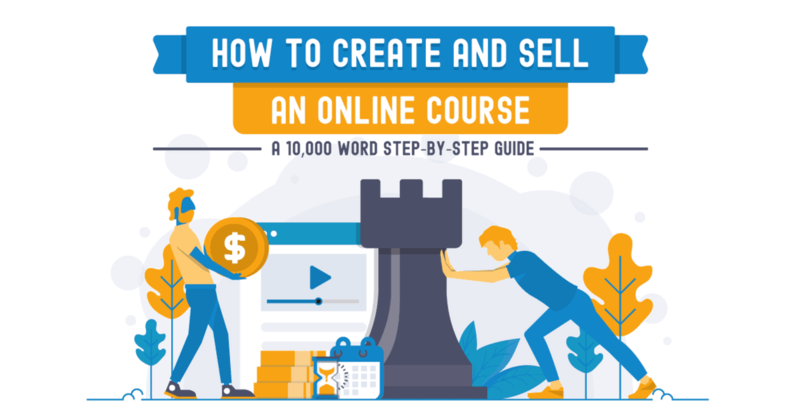 The idea here is to send across a message that there are other people who want this course as well and if you don't act fast, you will miss out on the opportunity. Noah Kagan fromAppSumo uses this technique for his 'How To Make A $1,000 A Month Business' course. As you can see, there are only '182' spots remaining in the course after which the doors will be closed. Now you can either use this as an independent strategy or you can also combine it with limited time enrollment strategy. In the 2nd case, the doors for the course closes either when the deadline is reached or when all the spots are filled. This is very powerful as it adds an sense of extra exclusivity and thus urgency to your courses. I would recommend using this strategy along with limited time enrollment as limiting only the number of spots might not work for not so strong brands. As far as execution of this technique is concerned, it's again straightforward. Once the number of spots are filled, you can simply hide the 'Buy Now' button on your sales page and add an opt-in form to join the waiting list. What is more challenging is to implement a live count of spots remaining on the sales page. A few people do it manually and update the number of spots remaining every x hours. In this case, an early bird discount is offered to a small number of buyers for taking early action which basically means you are limiting the number of spots in the course at a particular price. You may or may not close the doors for the course after the early bird discount offer expires. This strategy is highly recommended for new course launches as it helps you gauge the market demand, gather feedback and create extra hype around your new program. Let's take an example of how the early bird pricing is used. Say you are launching a new course which is going to be an evergreen course (the course will be open for enrollment always). You can offer x% discount to first n buyers to make it rewarding for them to act fast. This strategy can also be used to test the demand for your course and gather feedback. 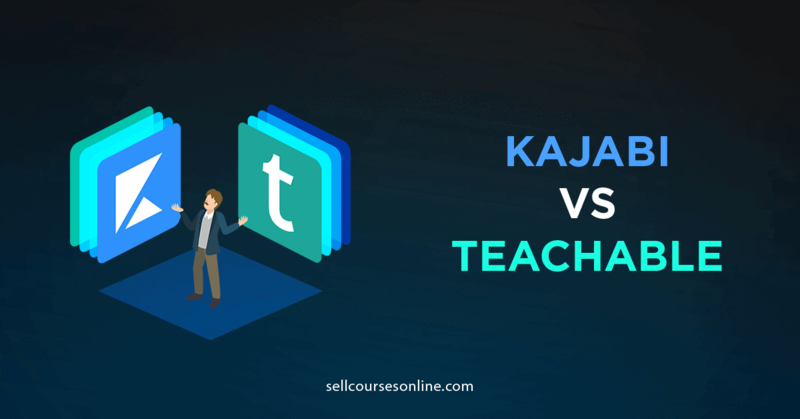 You can offer your course (before the official launch) to n people at x% discount and based on the response, you can judge the demand for your course. You need to think through n - the number of people so that it meets your revenue goals and your audience perceives it as limited in number (shouldn't be too high or too low). As far as execution of this technique is concerned, it's straightforward but may involve some more work. If you are using a system which doesn't allow you to create limited use coupons, you will have to create two sales pages - one with discounted price and another with original price. And then you will have to redirect the page once n customers buy the course at a discounted price. 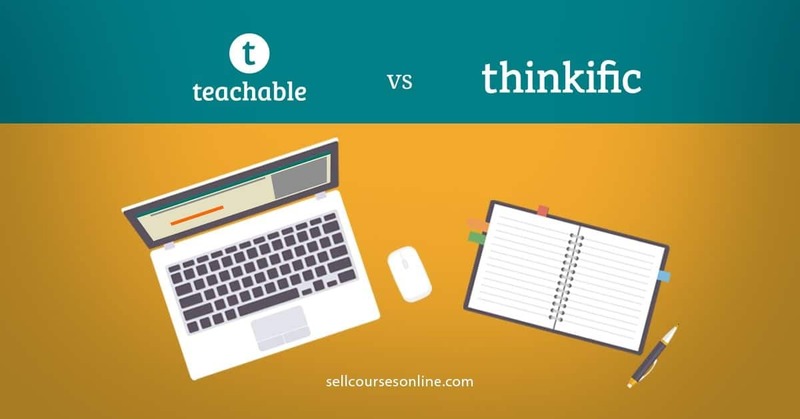 However if you are using a platform like Teachable, you can simply create a coupon code and limit its uses to n customers. Once the coupon reaches its uses limit, the sales page will show the original price rather than the discounted price. You can also offer multiple tiers of early bird discount - e.g. a super early bird discount of 50% for first 50 users and an early bird discount of 25% to next 100 users. Another variant of this sort of strategy is offering an early bird discount till a particular date and it's completely up to you how you want to incorporate it into your sales strategy. This is a really powerful and scalable scarcity marketing technique. In this case, the user is presented a unique offer (e.g. 50% discount on the course price) and the offer is triggered based on an user action (e.g. when the user joins the email list). The offer then remains active for a certain period of time after which the user can't get the same amount of discount. The most important aspect of this strategy is that it's an evergreen offer - which means that the same offer is presented to every user irrespective of when he joins the email list. If you are looking for a detailed tutorial on how to incorporate an evergreen discount offer in your sales funnel, you can ﻿﻿check﻿﻿ this﻿ ﻿detailed guide. As far as execution of this technique is concerned, it's not that straightforward and you would need a tool like Deadline Funnel to execute it. You can use Deadline Funnel to create an evergreen funnel for your courses and also add countdown timers to your sales pages & emails. And the best part is that you can use it irrespective of whether you use WordPress, Teachable/Thinkific, ClickFunnels or for that matter any landing page builder. This is another example of an evergreen scarcity marketing technique. However unlike evergreen offers for new subscribers, this type of offer aims at increasing your revenue from people who have already bought from you. Let me explain it by sharing case study of a client I helped execute a similar strategy. Nathan from StationX sells online cyber security courses on his Teachable school. The moment somebody buys a course on his school, the student is presented with a special discount offer to upgrade his purchase. 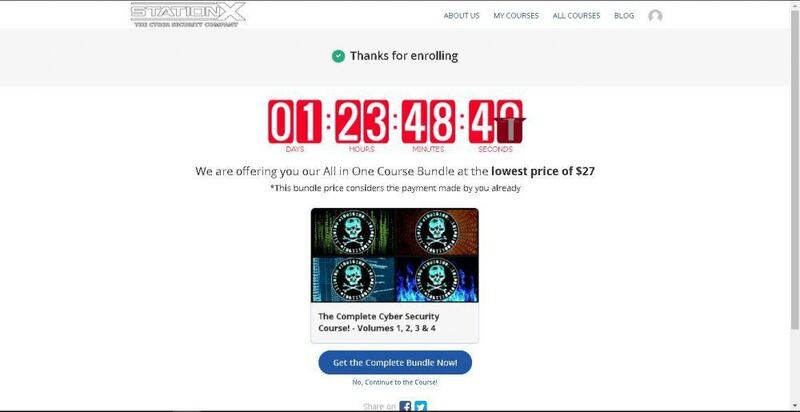 The one-time discount offer is available to the customer only for next 48 hours, after which there is no way the customer can get the bundle at this price. And then Nathan follows up with the customer via email and because of this strategy, Nathan saw the average spending from customers rise from $25 to around $40. I recommend this sort of an evergreen scarcity technique to anyone who has something to upsell and wants to increase average revenue from his/her customers. As far as execution of this technique is concerned, it's very similar to that of evergreen discount offers for new subscribers and again you would need Deadline Funnel to execute it. PRO TIP: These were just two examples of evergreen scarcity marketing techniques. How you are gonna use it is limited only by your imagination. For example, you can trigger evergreen offers when user completes a particular course or maybe even when he/she doesn't make a purchase during a sales sequence (downsell offer) etc. Generally when you do a launch or do any sort of a sales campaign (even evergreen campaigns), a large chunk of sales tend to happen close to the deadline. Offering fast action bonuses can help you spread out this sales somewhat more evenly throughout the campaign. 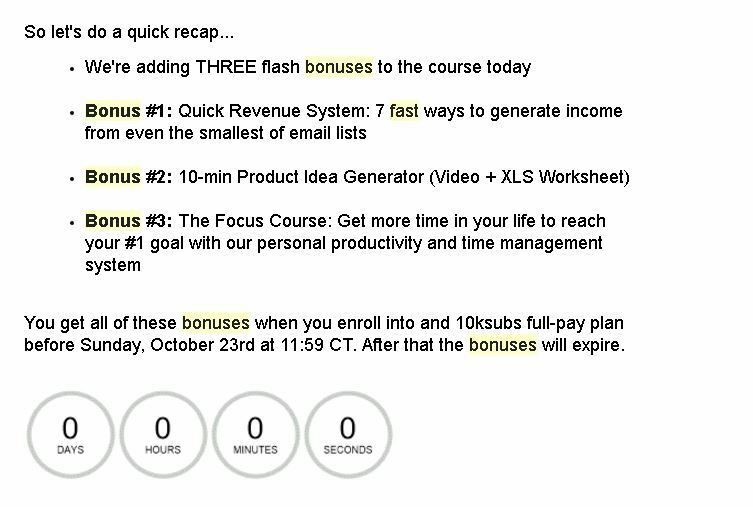 You might have attended a webinar where the presenter offers fast action bonuses to those who enroll in the course during the webinar. Or you might have seen somebody offering fast action bonuses to anyone enrolling in the course in the first 48 hours. These strategies motivate users to take immediate action rather than taking action close to the deadline and give a further boost to your sales. 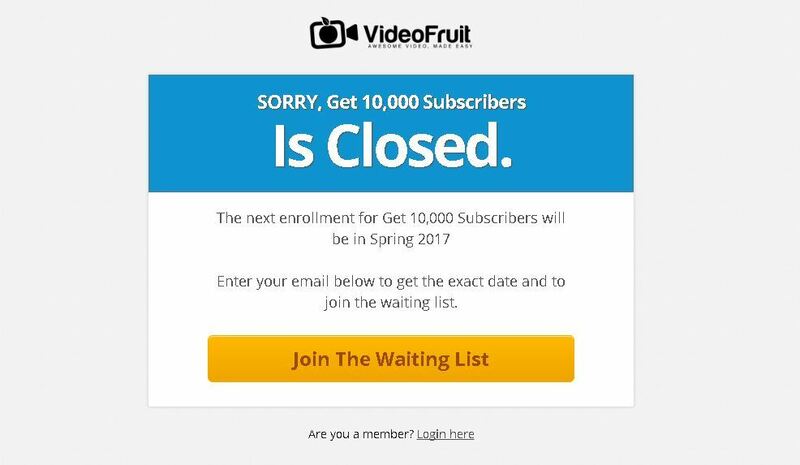 Bryan Harris from videofruit.com uses this technique to encourage fast action for his Get 10,000 Subscribers program. If you are creating a regular fast action bonus offer, you can simply share links (obviously which will expire after certain time) to the bonuses to those who are eligible for it. Creating evergreen fast action bonuses are a little trickier and will again require use of a tool like Deadline Funnel. So should you incorporate ﻿scarcity﻿ into your sales funnel? 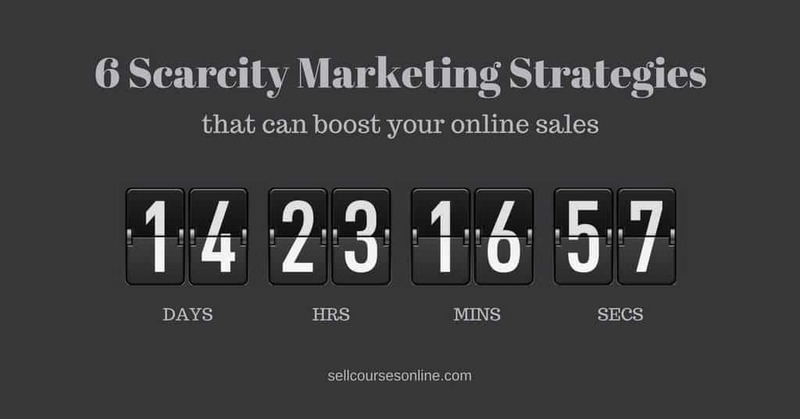 Scarcity does work and can help boost your online course sales conversion significantly. 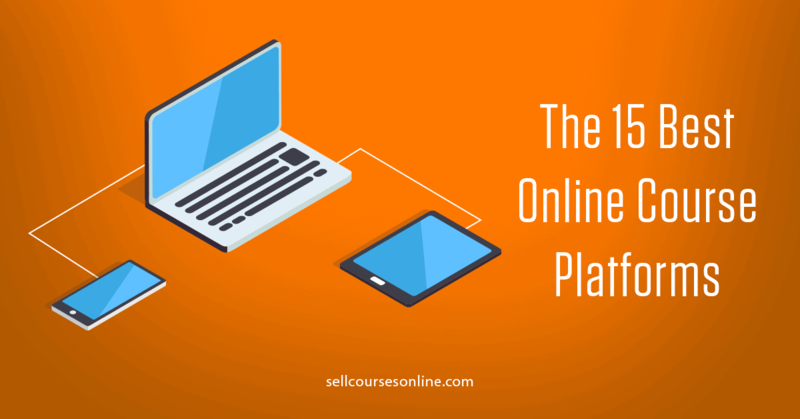 You should certainly consider incorporating scarcity into your sales strategy if you sell online courses from your own website. If you have any questions or any examples of scarcity that you have seen/executed, I'd love to know more about it. So, leave a comment below now!